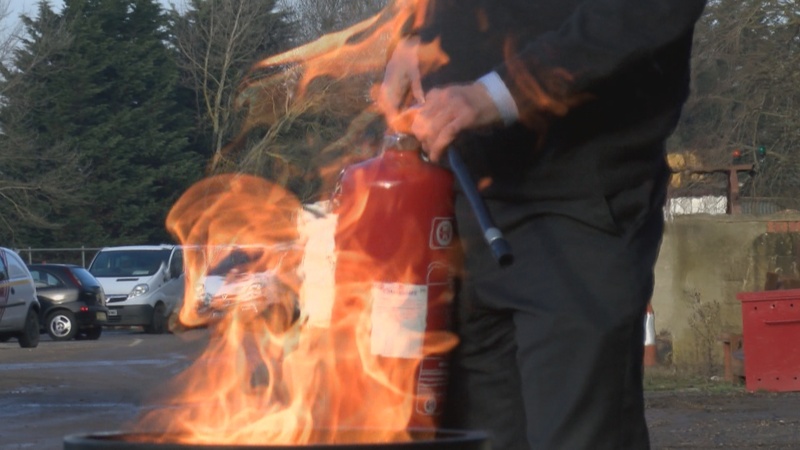 We are an approved fire training centre so this fire extinguisher course is accredited. The 1.5 hour programme is ideal for all staff. It is also suitable for fire marshal and also fire wardens who have had classroom training and now need practical exercises. In session one we discuss fire law, common causes of fire and also case histories. Session two looks at classes of fire and also different fire extinguishers. Lastly, we talk go outside and tackle small fires with our fire extinguishers. Each person on the course gets a training certificate and online training notes on request. Booking an extinguisher course London August with us is so easy. Either call or email us with your preferred dates. Once we have agreed a date, we will send our booking email and also ask for some info and for you to agree our terms. Once we receive your reply, your course is booked. It really is so easy! !